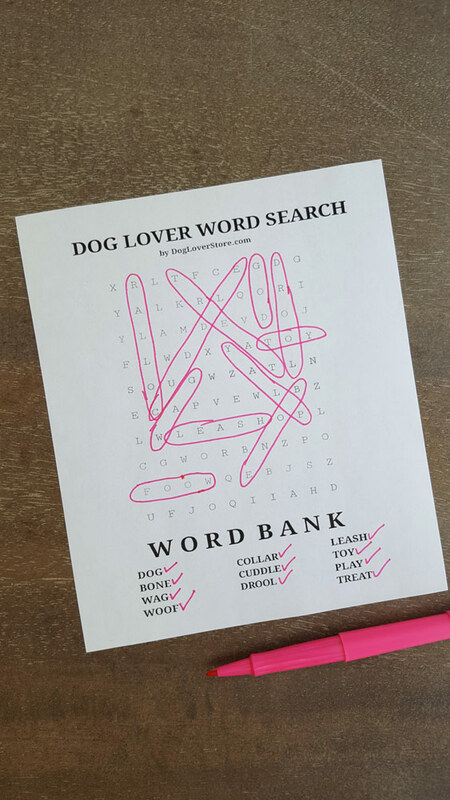 You can see that we completed the word search puzzle. It was a lot of fun! 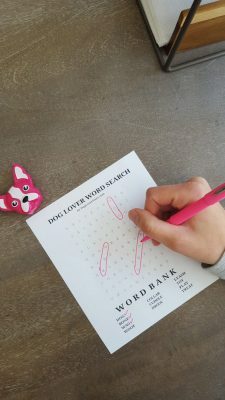 Plus, we extended the play time of the puzzle by drawing all of the words in the word bank down the sides of the puzzle. Drawing is a great way to get your creative juices flowing! Puzzles are fun at any age. They’re a great way to keep the mind working and an excellent way to pass the time. Take one of these puzzles on a road trip with you or to a doctor’s office visit and they will help take off a good chunk of time. Crossword searches are a little more advanced than word search puzzles. Word search puzzles provide you with a word bank to solve the puzzle. But with a crossword puzzle, you have to come up with the solutions to the questions on your own without a word bank. Be sure to use a pencil when you are filling out a crossword puzzle in case you have to erase an answer if the letters don’t match up properly. 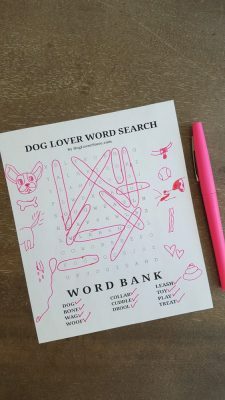 Check back for part 3 of our dog lover puzzle series for the solutions to our crossword puzzle.